This is a picture of this past Sunday, our first Sunday switching to an intergenerational worship format. On the floor, you see tubs of play dough, tools, cookie cutters, and mirrors. Since I was preaching on James 1.22-25, I had the kids look at their reflection in the mirror and use play dough to recreate their reflection. They were invited to do this as they heard the word and the sermon. Since this was the first Sunday with this new format, I feel the service went pretty well. I even received good feedback from the congregation. Although I feel like these are big changes, in reality we have been journeying to this place for quite a while. 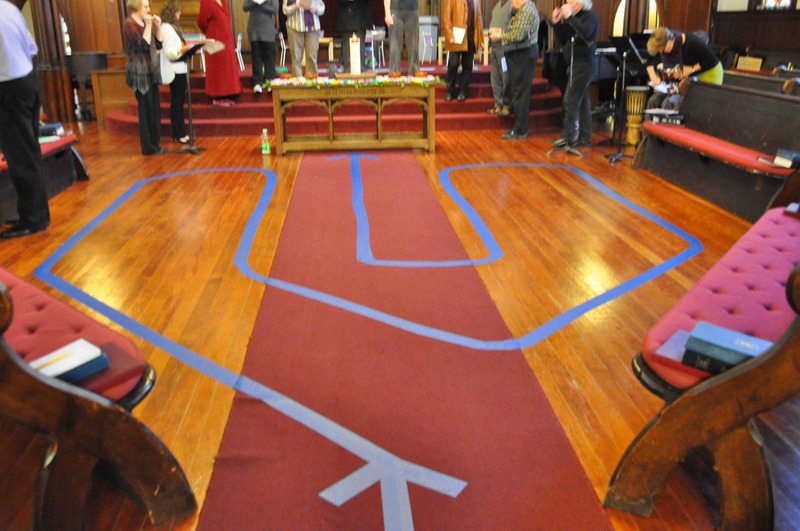 For the past few years, I have been slowly moving our worship services to be more family-friendly. This meant creating space in the sanctuary for strollers and toddlers to run around as well as places for kids to read books and color. In addition to that, we also allowed coffee, juice cups, Goldfish, and snacks in the sanctuary. Providing more space for families with small children also meant more noises. We had to change the way we viewed children in worship, going out of our way to make parents feel comfortable to worship with their children. 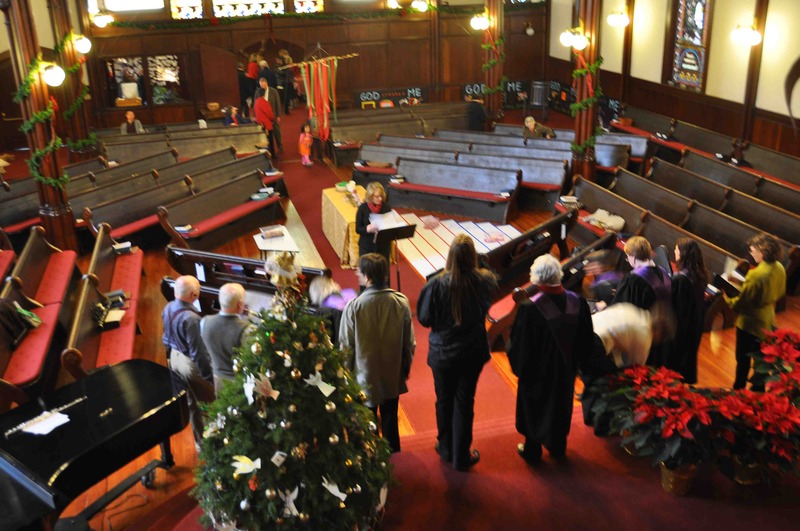 In the bulletin, it would read “Parents are free to wander when restless,” wanting others to know that it is okay for people to move about the sanctuary. As more families joined our church, it became clear that we needed to revamp our Sunday School program for grades K-5th grade. Normally, the kids would be in Sunday School almost the entire time during worship. We changed it so that they would be able to worship the last 15 minutes of worship with their family. This meant we had to add stuff for them to do in worship like activity sheets. As more babies were born and toddlers were wandering around, we created a “Toddler’s Corner” where easy Bible lessons were provided for parents to guide their little ones through. Pretty soon, we had to create a Sunday School program for preschoolers because the corner was getting a little too cramped. 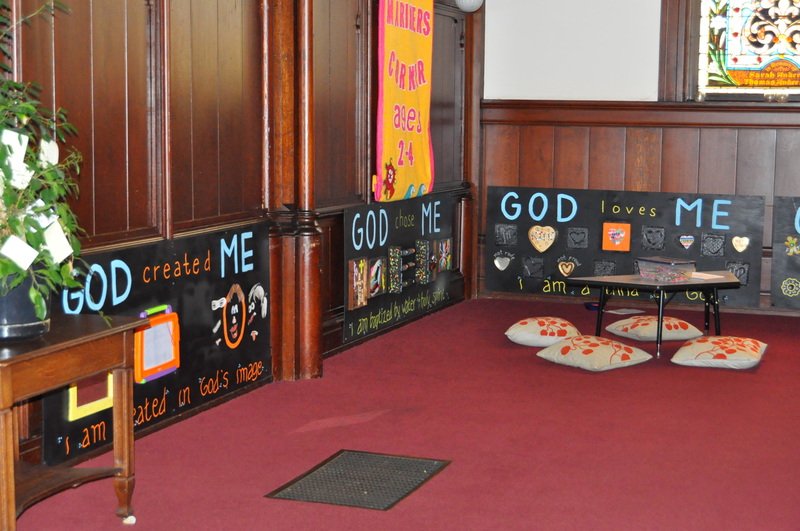 We replaced the “Toddler’s Corner” with theologically-based interactive boards. As our comfort grew with having children present, we began to plan some intergenerational worship services around Christmas and Easter. 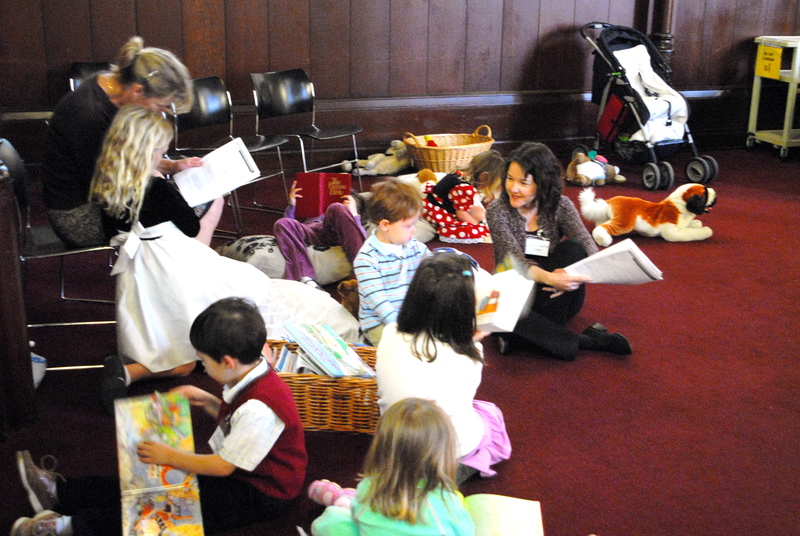 These were special opportunities for families to interact with the story together. 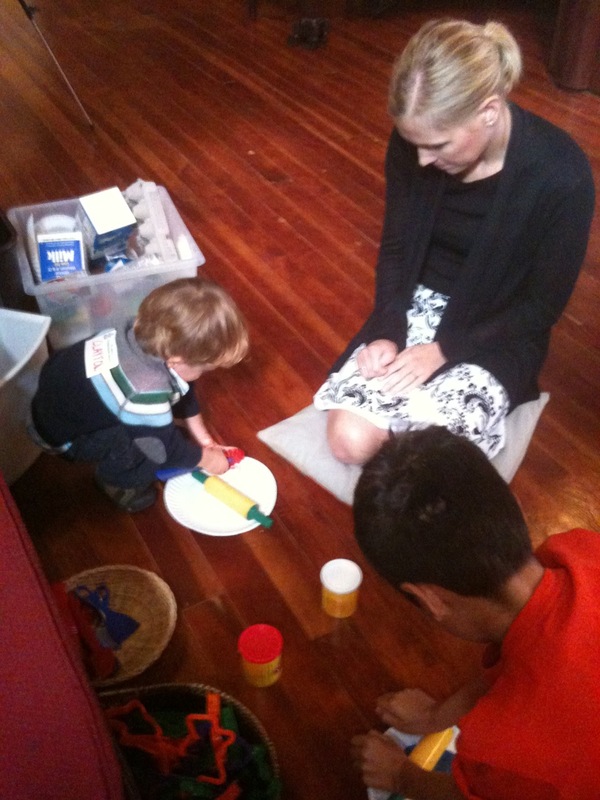 Then we began having special Sundays where we would set up Interactive Prayer Stations for adults as well as kids. 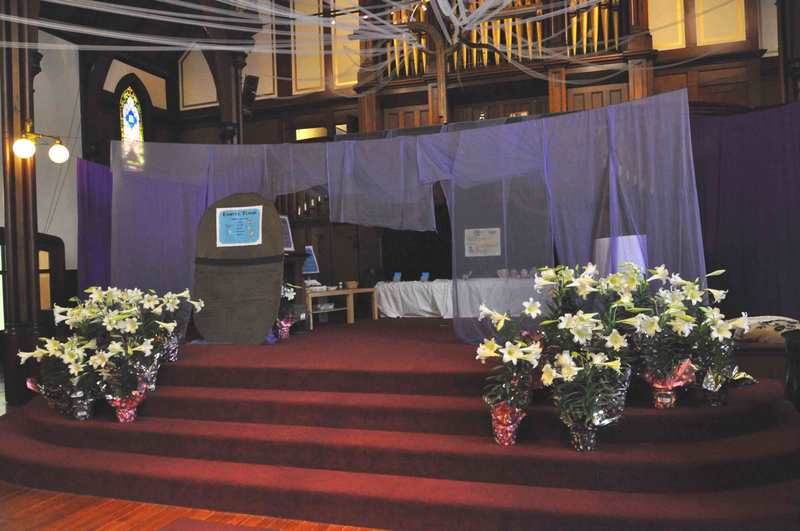 We eventually began to expand the interactive prayer stations for kids into a whole sensory experience. Even with all these changes, I still struggled with one thing. Once the kids enter 6th grade, they rarely come to church. I’ve tried starting Middle School programs and planning fun events, but these kids are already over-scheduled with sports, volunteering, and other activities. The dilemma was if these kids are only in church regularly from birth to fifth grade, then how will they know what worship is about if they are rarely in worship? Plus, I wasn’t convinced that the mere hour they spent in Sunday School was really teaching them anything. One hour is not enough to build biblical knowledge. We began to plan worship services that were more intergenerational – not kid-friendly, not even intentionally family-friendly, but truly where all ages, personalities, comfort, and needs had moments to enter into worship. We started with just Christmas and Easter. 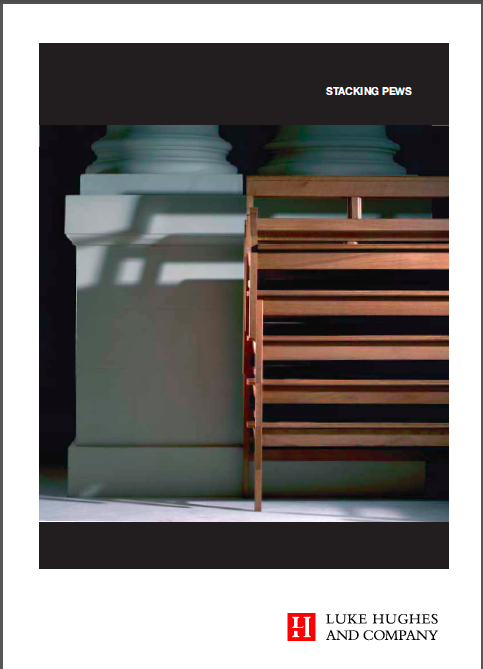 We experimented with weaving music in and out of prayers, sermons, and rituals. We moved pews. We added interactive elements. We made space for kids. I began working very closely with our music director in choosing music, liturgy, and ways to use music in creative ways. Also, we began to approach worship as our classroom. If I am a Teaching Elder (with the new form of government in the Presbyterian Church U.S.A., Ministers of Word and Sacrament are now referred to as Teaching Elders), then a part of my task is to teach – teach scripture, teach worship, and teach meaning to rituals. Our music director then is to teach singing and more importantly the value of singing such songs in our life. We got rid of Sunday School . . . well we kept Sunday School for preschoolers as an option. But for those in grades K-5th grade, they are to stay in worship, giving them opportunities to not only participate, but lead as well. 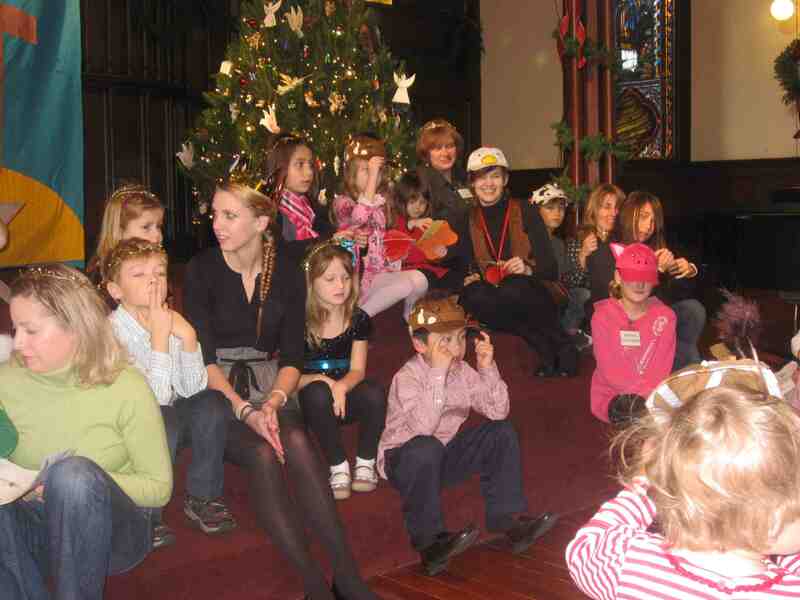 During the sermon time, they are invited to participate in an age-appropriate lesson if they choose. We got rid of children’s sermons. If worship is meant to be inclusive of all ages, then there is no need for children’s sermons. You can read more of my thoughts here. Because 100 year old solid redwood pews are a pain to move around, we are looking at getting stackable wooden pews built that will give us the flexibility to move them in any formation. 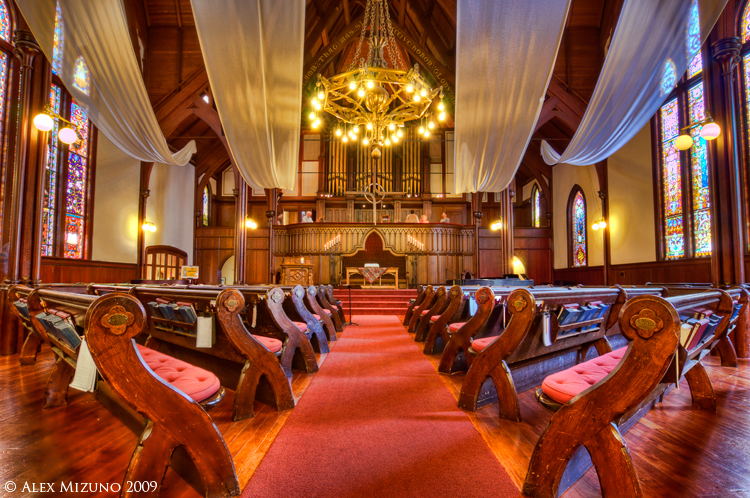 I’ve also been meeting with an architect to help us design projection screens that will compliment and not distract from our historic sanctuary. Mostly, I am excited to see what things we will try, edit, change, keep, and modify. These changes didn’t happen all at once or even over night. We grew into it as the needs changed. We grew into it as we adjusted to the different ways of being community. In some ways, the pastors and staff needed time and still needs time to grow into it as we learn new ways of pastoring, teaching, and serving this particular church community. I look forward to implementing some of the ideas we have. I’ll keep you posted. This is the best, Theresa!!! Thank you for sharing about it. I agree that our role as teaching elders requires more teaching in many more places and ways. And it may mean, I believe, that we will indeed be doing away with Sunday School. Especially because many adults where i serve do not participate in Sunday school either! Thank you again for tracking the changes you are experiencing and helping to implement. I appreciate having companions on this change-necessary, rich time in the church’s life. Well-done. Peace. Thank you for sharing your process in this post! The process wasn’t “overnight” but one of small steps taken in response to those God has called into this particular community. Your ideas are wonderfully creative and engaging. Blessings on your ministry and your blog!